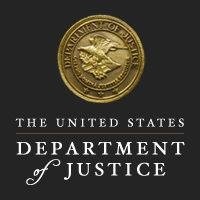 WASHINGTON – (RealEstateRama) — John H. Durham, United States Attorney for the District of Connecticut, announced that STEVEN F. HARVIN, 53, of New Haven, was arrested today on a criminal complaint charging him with wire fraud and theft from programs receiving federal funds. After his arrest, HARVIN appeared before U.S. Magistrate Judge Sarah A. L. Merriam in New Haven and was released on a $50,000 bond. According to the complaint, the Housing Opportunities for Persons with AIDS (“HOPWA”) Program is a federal program dedicated to the housing needs of people living with HIV/AIDS. Under the HOPWA Program, the U.S. Department of Housing and Urban Development (“HUD”) makes grants to local communities, states and nonprofit organizations for projects that benefit low-income persons living with HIV/AIDS and their families. HUD is also responsible for administering the Section 8 housing program, which provides federally subsidized housing to low income tenants. As alleged in the complaint, HARVIN is a reverend and, from approximately August 2015 to September 2016, he served as President of Zezzo House, a non-profit organization in Hartford that provides housing for individuals and families with health challenges, including HIV/AIDS. HUD provides HOPWA funds to the City of Hartford, which in turn provides the HOPWA funds to organizations in the Hartford area, including Zezzo House. Zezzo House also receives Section 8 funding. The complaint alleges that, from approximately January 2016 to September 2016, HARVIN diverted thousands of dollars in federal funds to his personal use. During this time, Zezzo House received $70,722 in HOPWA funds, some of which HARVIN withdrew in cash for himself or spent on personal expenditures. HARVIN also diverted funds from rent checks from Section 8 tenants to his personal use. The charge of wire fraud carries a maximum term of imprisonment of 20 years, and the charge of theft from programs receiving federal funds carries a maximum term of imprisonment of 10 years. U.S. Attorney Durham stressed that a complaint is only a charge and is not evidence of guilt. Charges are only allegations, and a defendant is presumed innocent unless and until proven guilty beyond a reasonable doubt. This matter is being investigated by the U.S Department of Housing and Urban Development, Office of Inspector General, and the Hartford Police Department. This case is being prosecuted by Assistant U.S. Attorney Neeraj N. Patel.